The T60 FLIR thermal scope combined with legendary Trijicon weapon sight technology make the ultimate MIL-SPEC Clip On Thermal Weapon Sight Solution. Manufactured by FLIR Systems Inc. the World Leader in Infrared Technology. 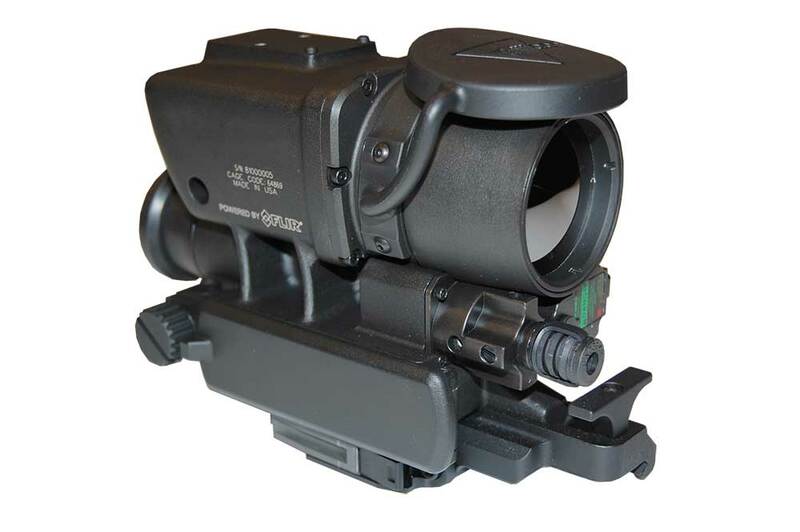 The T60 represents the highest performance clip on thermal rifle scope available today. The T60 Cip on FLIR Thermal Scope is a high resolution, high definition military grade thermal infrared imaging rifle scope used in conjunction with Trijicon ACOG sights and a host of day optics. The T-60 ATWS thermal clip on scope when used inline with any day optics offers super crisp thermal imagery while using the sighting parameters from any day scope (no re-zero). This T60 FLIR Thermal Scope offers an HD 640×480 maintenance free thermal FPA detector and is the best thermal clip on system available. The Dual Field Of View (DFOV) situational awareness function allows for the user to scan the environment in wide field of view and instantly zoom in to the narrow (far) field of view for increased range performance offering enhanced detection, recognition and target acquisition. The built in laser pointer allows for pin pointing objects or threats & has low and high intensity modes. 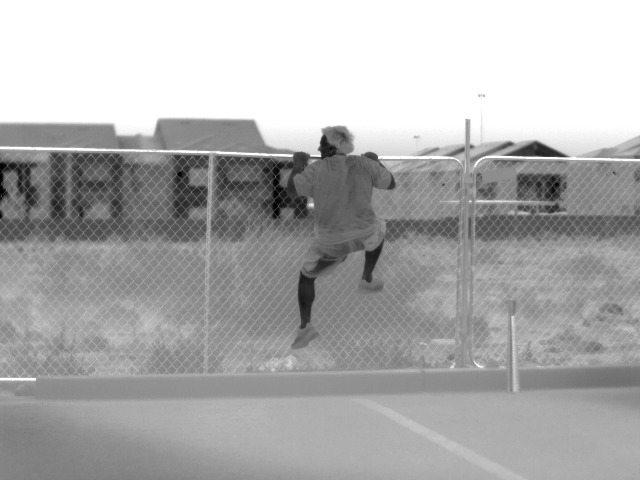 The MILSPEC system is built with instant on, ease of use and extreme ruggedness. The focus control knob lets you dial in a sharp thermal image with just one hand. Unique to the T60 is the integrated reflex sight mount located on top of the scope. This sight mount platform was designed specifically for the Trijicon quick reflex sight. The purpose of having this sight mounted on top of the thermal rifle scope is to engage targets that pop up in close. This is especially useful at dusk and dawn and adds another level of security to the warfighters arsenal. The RMR sight is an optional component not included with the standard T60 package. The T60 Clip on FLIR Thermal Scope is ruggedly constructed to military combat specifications and features an unparalleled High Definition 640×480 pixel thermal sensor. All of this sophisticated technology is also incredibly easy to use. Simple ergonomic buttons control all the features to let you concentrate on the mission at hand. The T60 FLIR Thermal Scope is loaded with features to aid in successful mission completion. The integrated laser pointer lets you indicate to your team what you are seeing through the scope. The laser can be seen with the naked eyes or with night vision devices. Operator safety and ease of use are the primary functions of the T60 laser indicator. The laser control lets you activate or “arm” the integrated laser pointer as a safety measure. Once armed the laser is fired by means of the included laser pressure switch. This remote switch is mounted on your weapon so that you do not have to take your hands off the gun to activate the laser. The laser is fired from the laser aperture. Designed to never let you down. Many thermal imagers are designed with proprietary rechargeable batteries that limit your effective run time and generate huge profits for the manufacturers that you are “forced” to buy them from. We know of some batteries that can cost $300-$400 each! That is UNACCEPTABLE. The T60 FLIR Thermal Scope was designed for military and law enforcement professionals that need a go to solution wherever the have to “go to”. With that in mind the scope operates on standard CR123 batteries that are available at any drug store or big box chain store. The system has two battery cassettes that can be preloaded and quickly swapped in the field (similar to a clip for your rifle). The system can run on disposable batteries or the included rechargeable batteries for a more cost effective “green” solution. The polarity button labeled “B/W HOT” lets you select between black hot and white hot mode. In black hot mode the hotter objects are blacker and the cooler objects are whiter. In white hot mode this is reversed and the hotter objects are whiter and the cooler objects are blacker. Polarity adjustment aides in scene identification and target discrimination. Different conditions call for different settings and is based on user preference. As a general rule black hot is better at seeing the surrounding area and giving you a situational awareness view. White hot is typically better at identifying targets which stand out in white hot. The T60 FLIR Thermal Scope is designed to military standards for a variety of professional applications. Your housing integrity is only as good as its weakest link. Commercial systems have cheap connectors for video output and power input. These connections degrade water tight performance and have no place on a professional system. The ATWS clip on thermal sight uses water tight military grade connectors to insure long term operation. With this single port you get video output so that you can monitor the scope or record what you are seeing to the DVR. You can also attach the scope to external 12VDC power for extended operation in guard towers or vehicle operations. The T-60 scope is the real deal! An integrated lens cap secures the polished germanium lens and keeps it safe while not in use. Commercial units often feature removable or flip up lens caps. Removable lens caps frequently get lost or misplaced and need to be replaced. Flip up caps sound like a good idea but they always seem to break right at the hinge making them useless. This quality level is not acceptable in a military grade thermal rifle scope. The T60 ATWS has a fully integrated mil spec lens cap that will not break or get lost. The rubber cap is also virtually silent when flipping up adding to your covert capabilities. There is a notch on the top of the lens that holds the cap in place when weapon mounted. Don’t settle for consumer level tools when you have a professional job to do. A true combat scope, the T60 FLIR Thermal Scope covers you in the maximum number of possible scenarios. 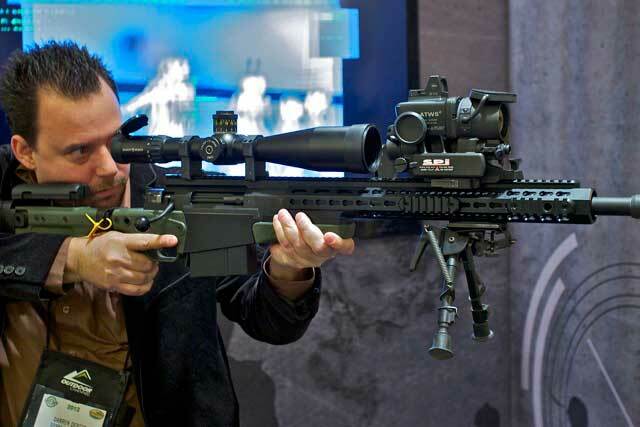 The system was designed with a top mount plate for mounting the Trijicon RMR day reflex sight. With the optional sight mounted you get an extra layer of protection in hostile environments. The RMR is ideal during dawn and dusk time periods when attacks are common. By having the RMR on top you can easily engage targets that may pop up to close within the range of the T60 scope. The T60 is a true military scope that has been designed to offer the finest in weapon sighting systems while also increasing survivability. The perfect sight for serious professionals. Shot Show 2012 was a great Success for SPI CORP. The booth girls of shot show 2012 were looking good. Meet Ashley and Crystal the SPI girls. Hot and good with a rifle! A view through an ACOG 4×32 scope and the ATWS thermal scope. The image is in White Hot polarity. Note the humans are white since they are hotter than the background. The scope is set to Black Hot so the humans look black since they are hotter than the background. Notice how in Black hot mode the background is more detailed and in White hot mode the humans stand out.